For example, let’s say that you manage a virtual staff, and you have 3 different clients. 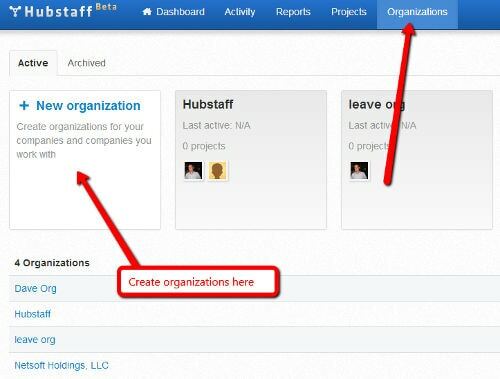 In this scenario, the best thing to do would be to create 3 organizations within Hubstaff. 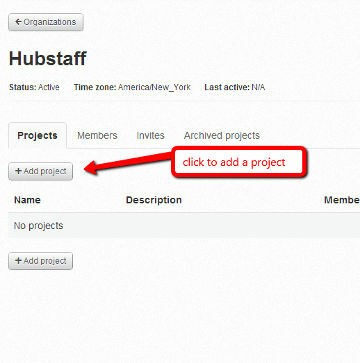 To Start a new organization in Hubstaff is very simple. You just need to complete two simple steps. 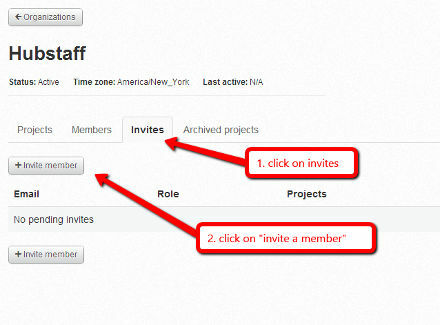 First, you’ll need to navigate to the “Organizations” screen and click on the “New Organization” Box. 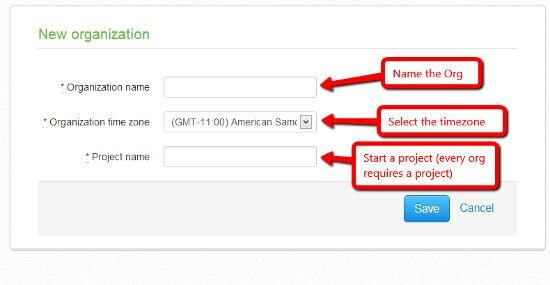 Second, you need to name your Organization, start a project (at least one project is required to start an organization), and click save. *Important Note – Do not worry too much about projects at this point. Just select a project name that makes sense to you (something your people work on), and if you need more help here, please see step 2 in this document. Now that you have your organization set up, the next thing to do is to start your first project. Projects are meant to organize the work within an organization. Projects can be organized however you want to see them, but typically they would be something like this. In order to set up a project you just need to follow these two simple steps. First click on the on the organization you want to add a project for. Second, just click on the “add project” link. Add as many or as few projects as you like. 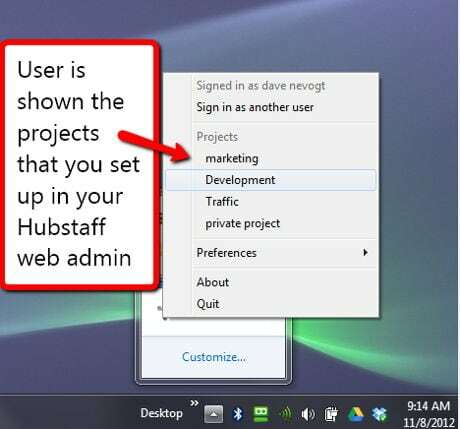 Your Users will select these projects from their desktop client and time will be tracked to these projects. Users select projects from their desktop app, and once a project is selected time tracking, activity levels, and screenshots will being to be taken. 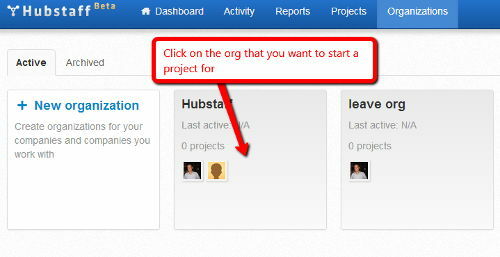 User then will be shown a project menu that corresponds with the projects that you have set up in Hubstaff. Now as soon as your user selects the project from their desktop all time tracked will be connected with that project until they switch projects. So, as I said earlier in the document, please organize these projects as you work in your organization. If you want to simply have one project called “Work” that is completely fine. You can have a “General” project. It all depends on your management style and relationship with your team. 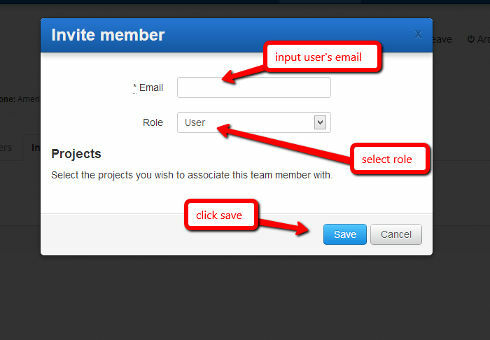 Select their “role” or access level (just use “user” if you are unsure) – you will always be able to change this later and adjust settings anytime. 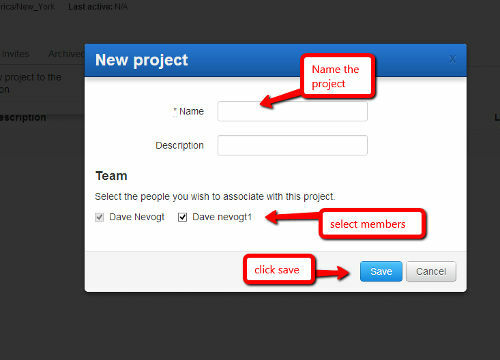 Assign them to a project (in order for your team to track time, a project needs to be selected). 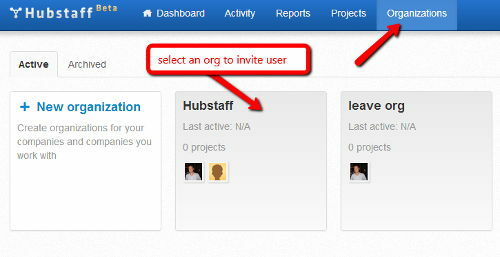 First, select the organization that the user will be a part of. Second, click on the invite link on the screen. Then you will be presented with the screen that allows you to invite your team. Simply enter their email and select a user role. 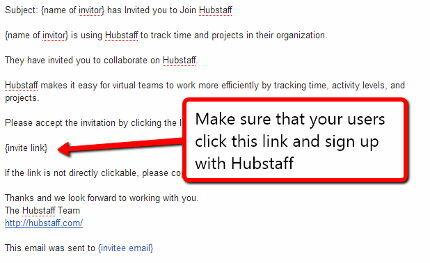 After you invite your team they will receive an email that looks like this. 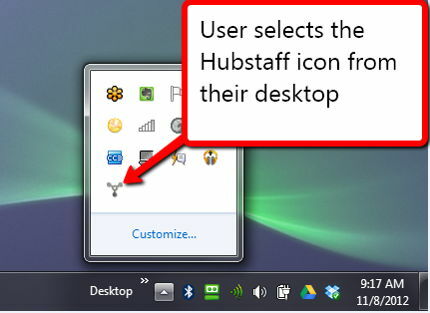 If you have any questions at all, you can always find us at https://www.hubstaff.com.